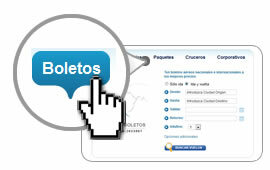 ¿How to reserve Flight tickets Online? 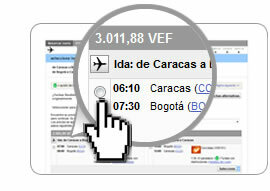 In the Main Page select the "Flights" tab, and a form is shown with the information you submit for search flights. In the form, enter the information for your reservation: Depart and return cities, depart and return dates, amount of tickets, etc. 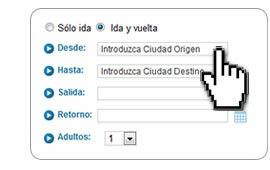 You will see a list with the flights that match your search criteria in previous step. 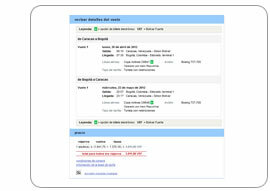 The reservation summary information is shown,with Flight data, prices, purchase conditions, etc. The form is shown to collect the information for passengers, contact, etc. Complete the form and click on "Reserve". 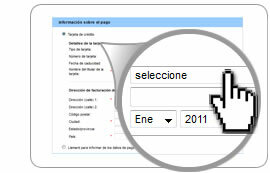 Now the form to enter payment information, that could be Credit Card or Deposit. IMPORTANT: Your credit card is not charged on this step. It is used only for reservation validation. A Sales executive will contact you to complete the payment process. Click on "Accept Terms and Conditions" and then on "Confirm Trip". Congratulations! you have reserved your flight ticket. 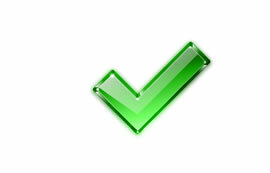 A Sales Executive will contact you to complete the payment and issue the Electronic Ticket.